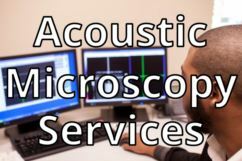 Acoustic Micro Imaging & X-Ray Inspection Resources | AcousTech, Inc.
We at AcousTech have a substantial knowledge base from which to draw. 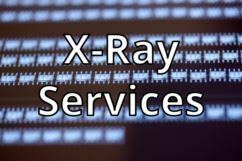 It comes from the expertise of our individual staff members and our collective experience as a leading niche provider of acoustic micro imaging and x-ray radiography services. We’d like to share some of that knowledge base with you. We also answer questions about the standards we follow and the part types we test using each of our specialized tools and processes. testimonials from many of our satisfied clients that frequently reveal the specific ways we fulfilled their testing needs. Our hope is that the information we provide here will be of genuine use to you. Check back frequently, because we’ll always be updating and adding to our knowledge base. If after reviewing these resources you still have questions, especially about something we may not have covered, please don’t hesitate to contact AcousTech. Our knowledge base is yours.